If you’re a beginning student interested in trying Aikido for the first time, you’re more than welcome to join Aikido of Madison at any time. If you’re interested in joining along with other new beginning students; twice each year we offer an introductory course. Click here to read more about our Introduction to Aikido Course. Either way, we ask that you first observe at least one Aikido class before joining. For your convenience and planning, here is a link to our class schedule. Whether you’re returning to Aikido of Madison after time off from training or transferring from another dojo, you’re welcome to restart your training with us at AOM. We simply ask that you fill out the required paperwork (links below), pay for one month of dues and pay the annual ASU membership fee. Click here for pricing information. 1) Observe one class. 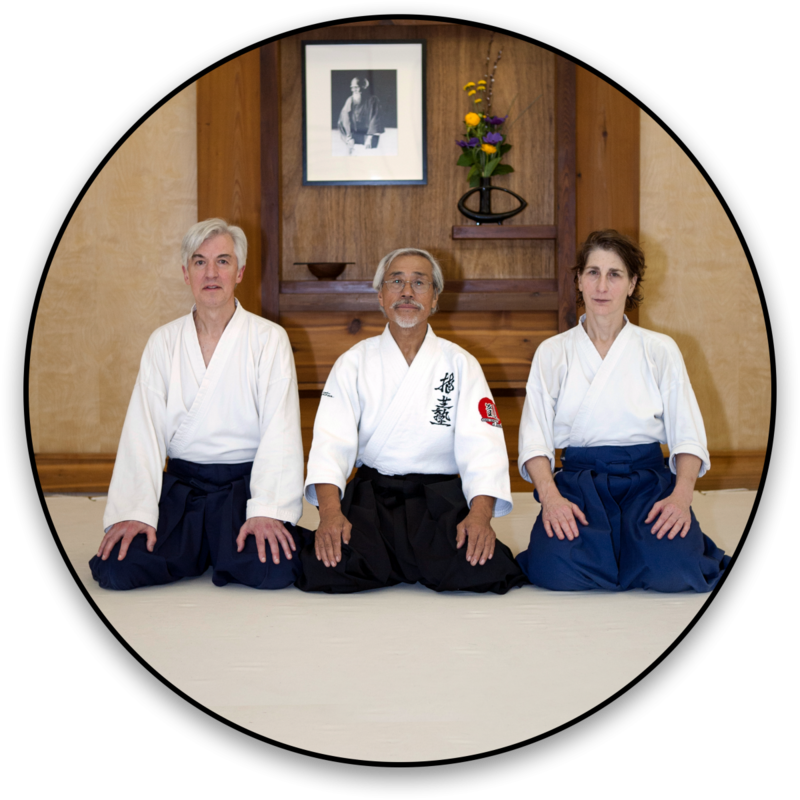 (Students that are new to the art of Aikido are asked to observe one class prior to enrolling. Click here to view the class schedule). 2) Fill out the registration forms. 3) Bring the registration forms to your first day of class. (No printer? No problem! We’ll have printed copies of the forms available that you can fill out at the dojo (school). 4) Pay online or pay at the dojo. If you wish to pay dues online, you can do so at our Online Payment page. It’s that easy! That said, if you have any questions, feel free to send us a note via our online contact form or give us a call at (608) 231-3935! Plan to arrive at your first class about 15 minutes early so we can take care of the paperwork and joining fees. If you’re attending one of the introductory courses, you will be asked to pay for the course before your first class. You can park in the back of or alongside the dojo, but please do not park in the rightmost spot in the back. This is reserved for “sensei” or “teacher” of the class. Please come in the back door and take off your shoes before you enter the training space or go downstairs. If you do not already have a gi (uniform), please wear loose comfortable workout clothes. You should also bring zoris (sandals) to wear when walking upstairs from the changing rooms. All martial arts have a set of etiquette rules that you will need to learn and Aikido is no exception. Please review the AOM Dojo Etiquette in advance of your first class; though please do not worry about learning all of the dojo etiquette prior to training! You’ll learn as you go along. In essence, etiquette expresses our respect for the dojo, the teachers and each other and for the art that we practice. First day jitters are common. The first day of class can be a little intimidating. Everyone else seems to know what they’re doing; there are all these strange rules and being a beginner (especially when you’re beginning as an adult) can be challenging. At AOM we value beginners—they’re the life blood of the dojo! Relax and enjoy your practice. We’re glad to have you with us. Questions? Click here to read the most frequently asked questions (FAQ). If you still have questions after reading the FAQ, feel free to contact AOM with any additional questions about joining our dojo.